Open More San Mateo County Parks to Dog Walking! For years, San Mateo County dog owners have been supporting a County Parks System where we are largely not allowed. People with dogs are only allowed on 5% of county park trails. Meanwhile, other users like horseback riders have 90% access. These archaic policies date back nearly 80 years when most of San Mateo County was agricultural land. It's time for San Mateo County Parks to get with the times! Our county is now home to hundreds of thousands of people—many of whom have dogs and deserve access to their fair share of open space with their furry family members. 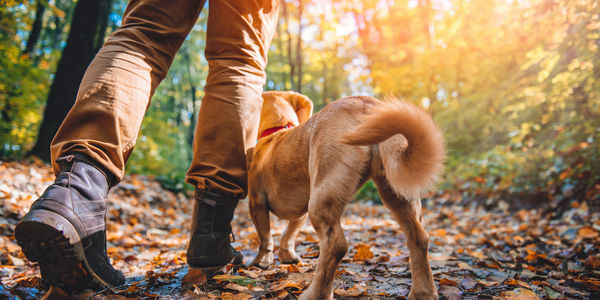 In 2019, the San Mateo County Parks Department and Board of Supervisors will be deciding if recreational dog walking access should be increased in county parks, and if they should designate some legal off-leash trails. The answer is a resounding YES! Dog walking is a healthy, low-impact activity that gets people out into nature, and enjoying and supporting parks. Unfortunately, San Mateo County Parks is woefully behind other Bay Area counties in terms of access for dog owners. For example, Marin County Open Space and East Bay Regional Park District allow dogs on nearly all trails, including a number of legal off-leash trails. Santa Clara County allows dogs in 22 of its 28 parks, and also provides off-leash opportunities. San Mateo County Parks' inequitable 5% trails access for dog owners and no legal off-leash space are draconian policies that need to change. Please sign this petition asking the San Mateo County Parks Department and Board of Supervisors to do the right thing and open more county park trails to people with dogs, including designating some legal off-leash trails. Public parks should be for everyone, not just the few. County Parks is now proposing 5 parks as potential on-leash pilot sites: Coyote Point, Flood Park, Junipero Serra, Memorial Park, and Pescadero Creek (see www.facebook.com/coastsidedog). Which proposed on-leash pilot sites are your favorites (they are selecting 1-2)? Are 1-2 on-leash pilot sites enough? Thanks for continuing to share the petition and keeping the pressure on!